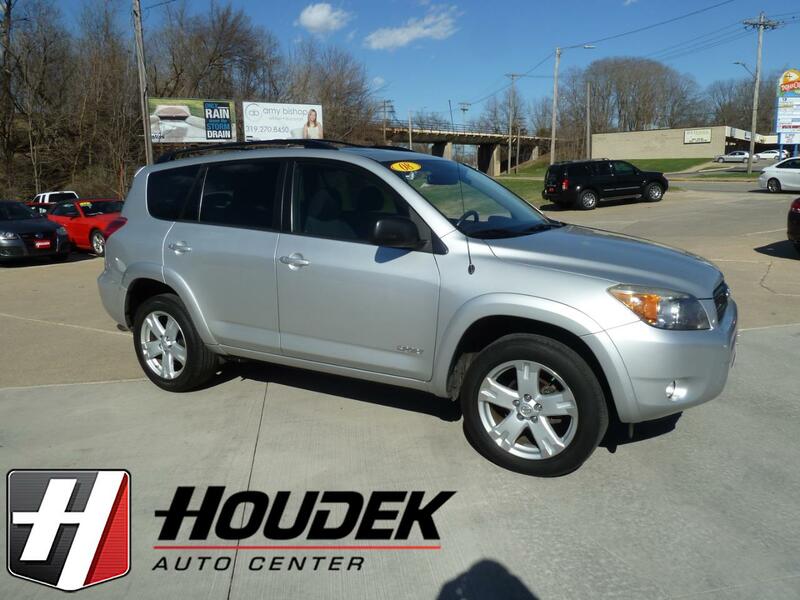 Come and see this 2008 Toyota RAV4 that was one of Car and Drivers 5 best during the 2008 year round up. With exceptional fuel economy for an SUV, (up to 27 MPG) and agile handling, the Toyota reliability reputation only makes it better. The RAV4 has plenty of interior space for cargo and is very comfortable for a smaller SUV. Toyota is known for making some of the longest lasting vehicles worldwide and the 2008 RAV4 is no exception with a current Edmunds consumer score of 4.4 out of 5 stars. Take a test drive today and feel why most people believe these to handle as good as most sedans on the market as well as having a great amount of space. Safety features on all RAV4s include dual-stage frontal airbags, side-impact airbags and side curtain airbags, LATCH child safety seat anchors, antilock brakes (ABS) with brake assist and electronic brake-force distribution (EBD), electronic stability control (VSC), traction control (TRAC), and a tire pressure monitor.